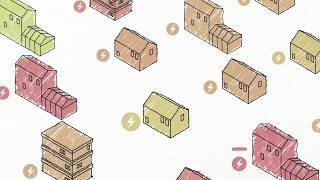 A short video with interviews from the Centre for Industrial Energy, Materials and Products (CIE-MAP) team showcasing their demand reduction work across the industrial supply chain. The two and a half minute video features various members of CIE-MAP describing their work and their overall mission to look across the entire life-cycle of products used in the UK. The researchers are pinpointing where energy reductions are possible made through changes in design, materials used, industrial processes, consumer behaviour and product longevity.